Occasionally we have trained skilled companion and service dogs available. We occasionally have trained skilled companion and service dogs available. Please see below or contact us if you are looking for a fully trained service dog. 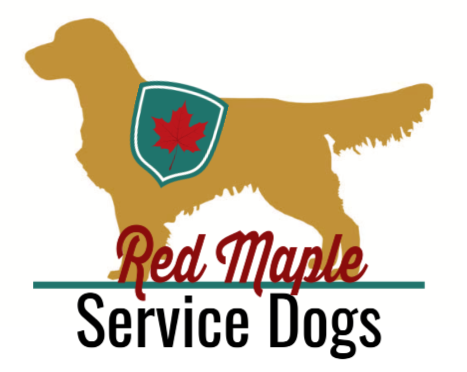 All of our service dogs are sold with advanced obedience and public access skills. - extensively socialized and friendly with all animals/people/children. - All of our service dogs come with life long support and help with task training specific to service required. - There is generally a cross over period where the dog will spend time with the new handler and our facility and switch back and fourth until the dog is fully bonded and acclimated to its new home. We are currently in the works of putting together a breeding program specifically for our Service Dog clients. We will not be making any program dogs available until we are expecting our first litter or puppies. They will be purebred Golden Retrievers, completely health and temperament tested. If you are interested in being put on a waiting list for one of these puppies please contact us. In the meantime we can help you with finding a breeder. Temperament testing a litter of puppies or adult dog and help with an owner training focused program. Please click on the logo below to visit our Service Dog facebook/instagram page for a peek at whats going on in our program right now.